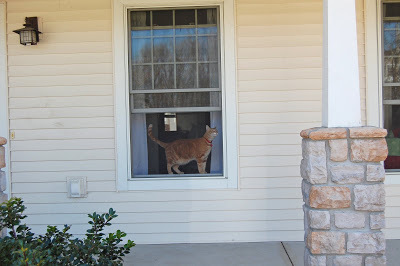 One of Pancake’s favorite things to do is to look out the living room window. 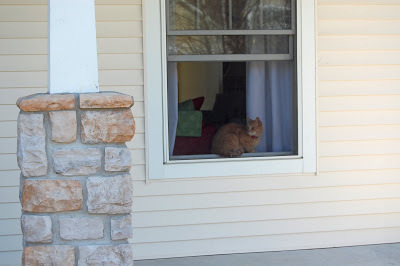 Good thing we have two windows, because sitting there is one of Henry’s favorite things too. Henry and pancake are so cute in their windows. 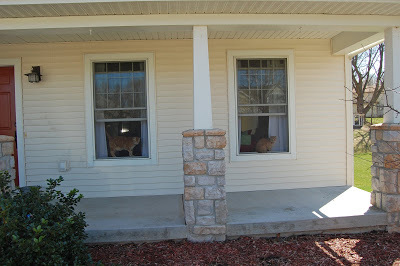 The kitty in the window….I’d say they are priceless! !